Are you wondering how much you can expect to pay for a set of plantation blinds? What are plantation blinds in the first place? If you are reading this, then these are probably some of the questions that you have in mind. In this post, we aim to provide you with the answers you need. Now first things first — plantation blinds refer to plantation shutters and is a misnomer. People tend to confuse one for the other just because many are more accustomed to blinds as a form of window treatment. 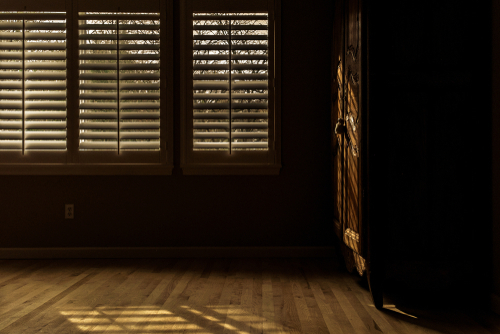 Unlike blinds, window shutters feature a fixed frame encompassing the window. The panels on the shutters are held in place by louvres which can be adjusted at an angle using a tilt rod. These characteristics have been around for ages and remain a practical and straightforward means of maintaining privacy and regulating how much sunlight enters indoor spaces, as well as controlling the temperature. What goes into the cost of installing plantation blinds for Bay windows? Now that we have cleared up any confusion between blinds and shutters let us go back to the principal question — How much do plantation shutters costs per window? The average Australian spends about $2000 on a set of quality plantation shutters. It is not a ballpark figure and tends to differ considerably depending on the size of the shutters and what they are made from. There may also be additional expenses like shipping and contractor fees which you would do well not to overlook. So what prices are considered fair when buying plantation blinds online? While we will not be quoting any exact figures, it is safe to say that much of the cost ultimately revolves around your choice of material. If you are bent on spending as little as possible, then you might want to consider getting blinds that are made out of faux wood. These plantation shutters are perhaps the cheapest on the market and can be obtained for as little as $80 to $200. Faux wood shutters are of course not as durable as genuine hardwood although they can certainly look the part. If you desire the most durable window shutters in the market and do not mind spending a premium for the privilege, then you can never go wrong with aluminium shutters. Many of these shutters are robust enough to withstand storms and do an excellent job of deterring intruders as it makes your property much more difficult to break into. You can also paint them in whatever colours you desire to match the aesthetics of your home and will serve you well for many years to come. Of course, you can always opt for the traditional route and get a set of hardwood plantation shutters. These shutters cost around $600 and offer the time-proven combination of sturdiness and aesthetics. No wonder then that hardwood plantation shutters remain a favourite choice in window treatments despite the advent of modern and cheaper alternatives like vinyl blinds. Are you looking to get started with any of the types of plantation shutters mentioned above? Check out some great deals online here at “Shutters Australia” or phone us today on 1300 853 206 for answers to any questions or concerns you might have regarding the matter.